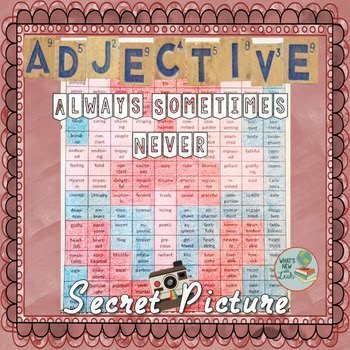 Let your students classify adjectives and color at the same time this Valentine’s Day. 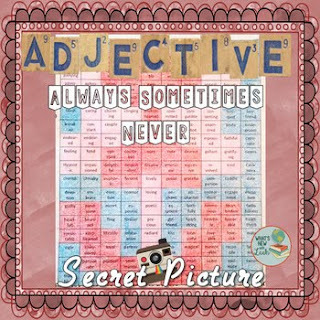 This Always, Sometimes, Never coloring activity requires students to think about the multiple ways words can be used. If students are correct, a secret picture will be revealed, so the activity is self-checking. In this package, you will find an explanation page for students, one coloring sheet, and an answer key.